Portuguese Gambit - Chess Gambits- Harking back to the 19th century! After 1.e4 d5 2.exd5 Nf6 3.d4, Black has traditionally recaptured on d5 with the knight, although 3...Qxd5 is also playable and can lead to combative positions with the kings castled on opposite wings. However, in the Portuguese/Jadoul Gambit, Black instead plays 3...Bg4. According to Stefan Bücker, this line was first introduced into master play by Carl Göring, the man who also introduced the Göring Gambit (1.e4 e5 2.Nf3 Nc6 3.d4 exd4 4.c3) into master play. It is less sound than 3.c4 e6, but often leads to similar play and is easily underestimated. Black will generally meet c2-c4 with ...e7-e6, aiming to blast open lines and then attack White down the central files, while if White plays Bb5+ early on, then Black also has the option of ...a7-a6, aiming to kick the white bishop back and expand on the queenside. 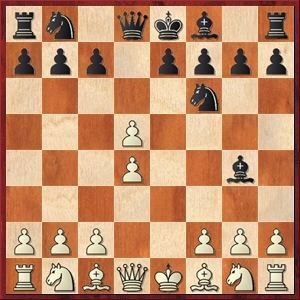 If White decides to decline the gambit, Black can generally get a combative game, albeit with a slight theoretical disadvantage, by recapturing on d5 with the queen, intending rapid queenside castling and kingside counterplay. The main exception is the annoying line 4.Bb5+ Nbd7 5.Be2, which leaves Black's queen's path to the d5-square obscured, and so Black must recapture on d5 with the f6-knight, which makes the more double-edged plans involving queenside castling somewhat less appealing. 1. 4.f3 Bf5 5.c4. A sample game in the line 5...e6 6.dxe6 Nc6 7.exf7+?! Kxf7, which often attracts players to this gambit with Black, so I think it makes a good introduction to the opening. I look at various alternatives for both sides after 5.c4, where 7.Be3 intending 7...Qe7 8.exf7+ is the most challenging line for White, but I think Black can get enough compensation for the sacrificed material there too. 2. 4.Bb5+ with a focus on 4...Nbd7 5.Be2. Also not theoretically worrying, but much harder for Black to generate good winning chances against. 3. 4.Nf3. Declines the gambit and leads to double-edged positions, often with the kings castled on opposite sides of the board, though with a slight advantage for White. The game, however, provides a good illustration of how Black's attack can break through. 4. 4.Be2. Similar to 4.Nf3, but there are some differences relating to the quick trade of light-squared bishops and the fact that after 4...Bxe2 5.Qxe2 White's queen is no longer on the d-file, which makes d4-d5 more of a threat if Black plays ...Nb8-c6 early on. 5. 4.f3 Bf5 5.g4. A very critical line, but White needs a lot of courage to play this effectively in over-the-board play as it results in White's king lacking pawn cover. In correspondence play, however, this is probably the strongest attempt to refute Black's gambit. In Kaissiber 32, Stefan Bücker made a very strong case for White's chances in this line. 6. 4.f3 Bf5 5.Bb5+. The main line, in which White generally intends to hold onto the extra pawn with 6.c4, although 6.Nc3 is also playable. Black's best response is probably 5...Nbd7 6.c4 e6 7.dxe6 fxe6, which leaves Black just a little short of full compensation for the pawn, and givers good practical chances, though 6...a6 and 7...Bxe6 are also playable.